Side note–this is my 100th post on the BoozyLife! Thank you for reading and following the journey! 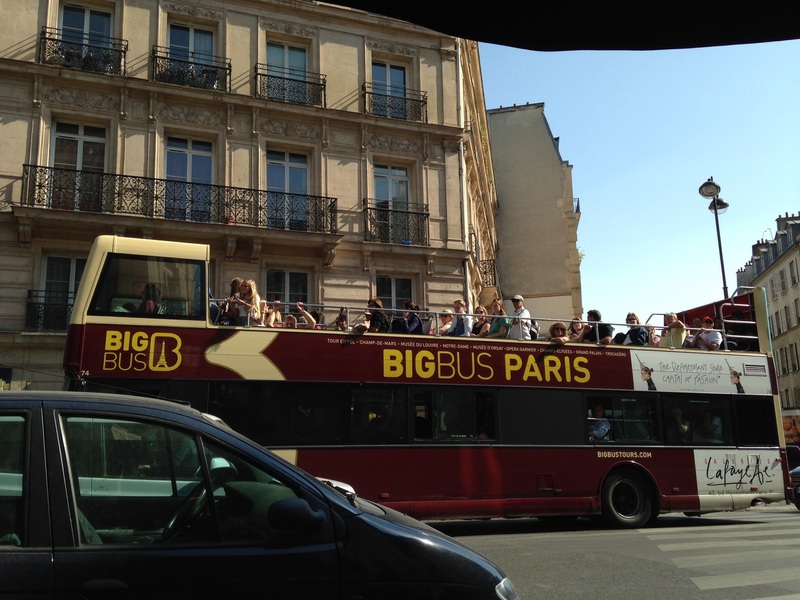 The first leg of our trip this month had us flying on a multiple city ticket–last minute flight purchases–and ended up with an overnight layover, to ourselves, in Paris. Terrible, right? 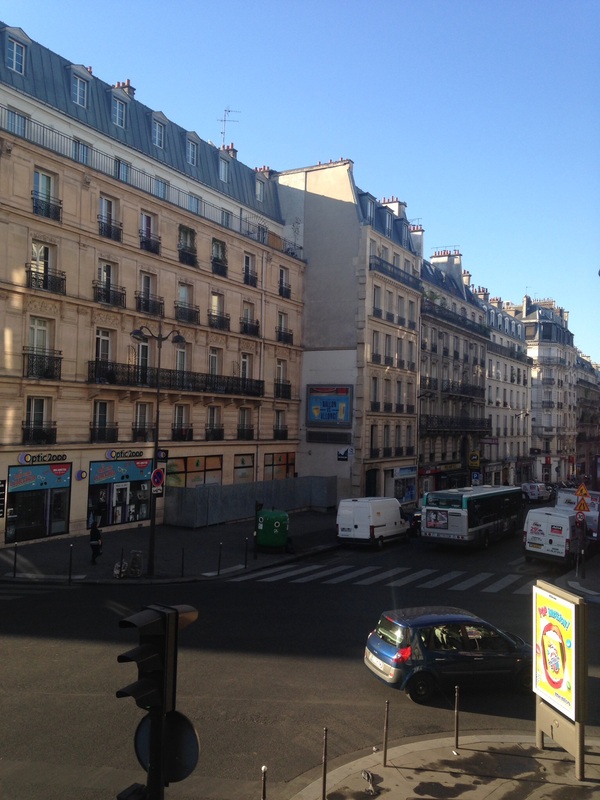 What to do…we wanted to stay near the Gare du Nord train station in order to stay close to the morning train commute to the airport…cheap night in an Ibis hotel nearby…research! My husband found a spot called Chez Casimir about 100 meters from us–it’s the sister restaurant to the famous Chez Michel bistro, and actually SHARES A KITCHEN with them. DONE! We walked over and took an outdoor table overlooking the evening Paris streets. Google them if you want to see more articles, they’ve been written up in CNN travel amongst many others…. There is either an ala carte menu or the standard four course pairing (appetizer, entrée, world-famous cheese tray, desert), so we went traditional and ordered off the prix fix menu. 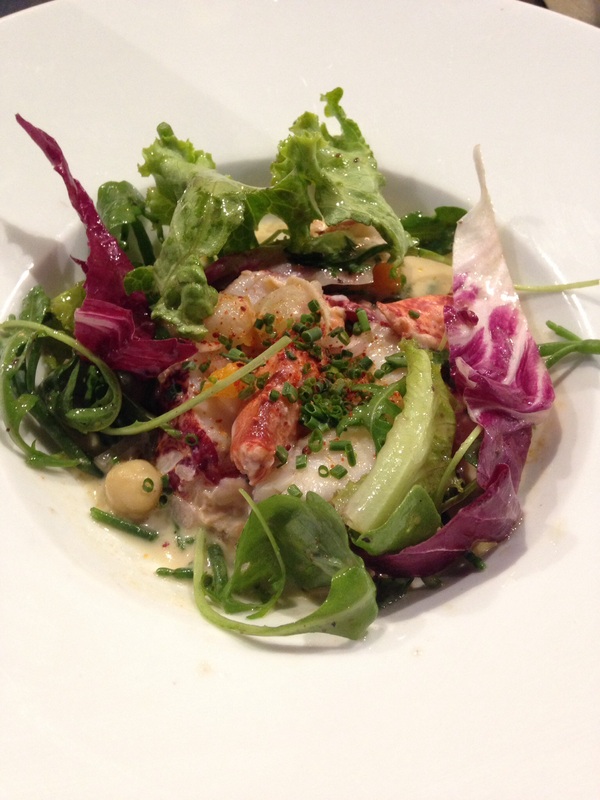 At less than forty euros each, the price was more than a casual dinner, but presented to be a more upscale bistro fare. 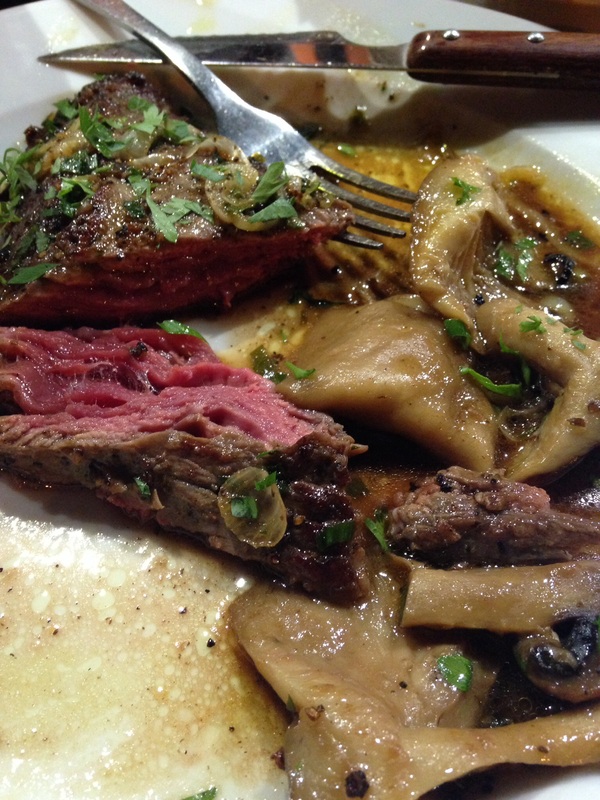 I chose a portion of beef with mushrooms and a pepper sauce as my entré…and then, I got to pick our wine! Best part! 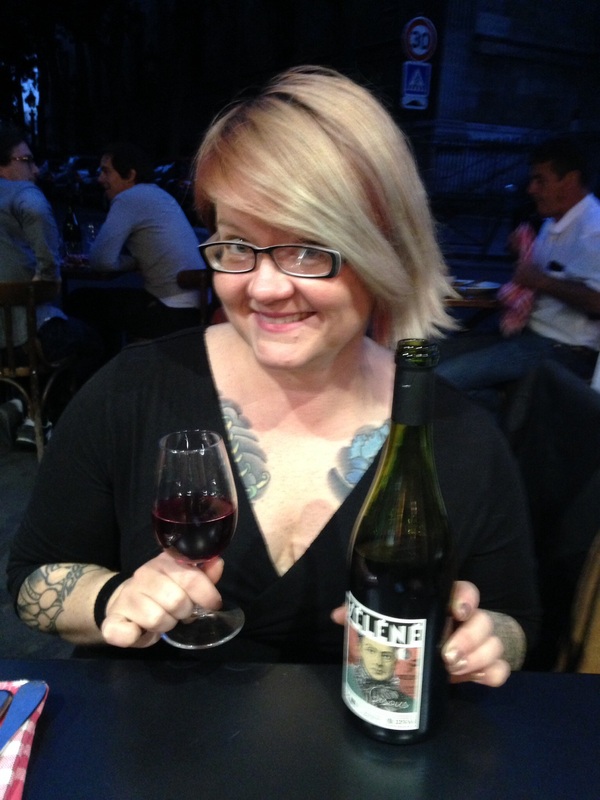 I ordered a French Beaujolais wine (young and fruity red, easy drinking and good with a bistro meal like this) from the menu, and was invited to go grab MY bottle!! The wines were stored in the Cava de Vino (wine cave…in this case, a climate controlled side room/closet area) and you were asked to grab the bottle you want yourself, and a server will open your selection(s) and add them to the bill at the end of the meal. OK. YES. Several of the bottles were small batch, organic, or from harder to find producers! HOW TO CHOOSE? After a good amount of standing still with my mouth open in a happy place, I grabbed a bottle of GAEC de La Tallebarde – Séléné Beaujolais Gamay, a very young red wine, lightly aged and traditionally made in the Burgundy region of France. It also happily had an artsy label, plastered with a painting of Frida Kahlo-which was a nice marketing surprise for me and appropriate as well I suppose! The young red wine -once popped -was fruity, funky, and complex, without being heavy–a fun pairing for casual outdoor dining. The acidity cut through all of the rich flavor of the meal, from my beef and mushrooms, all the way to the incredible treat of the Chez Michel style local cheese platter course. 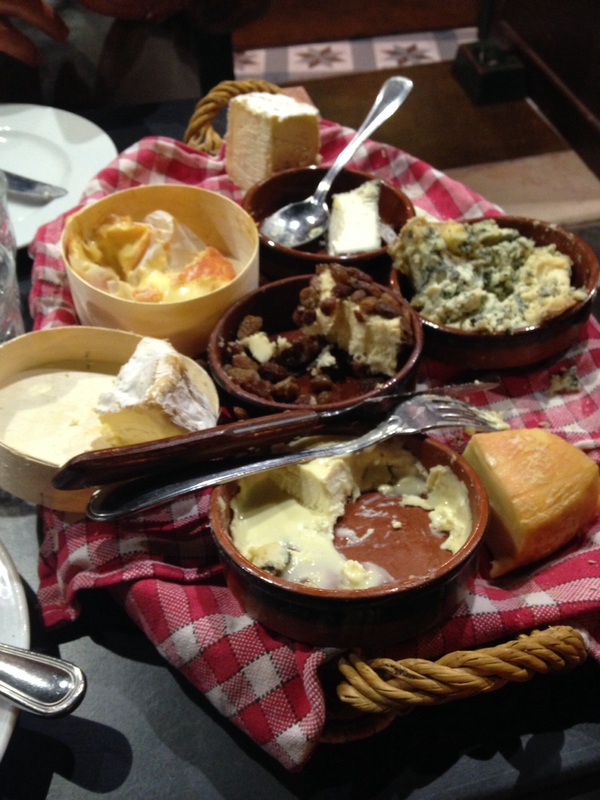 Really, no words–the cheese tray comes after entirely too much food, so plan accordingly! 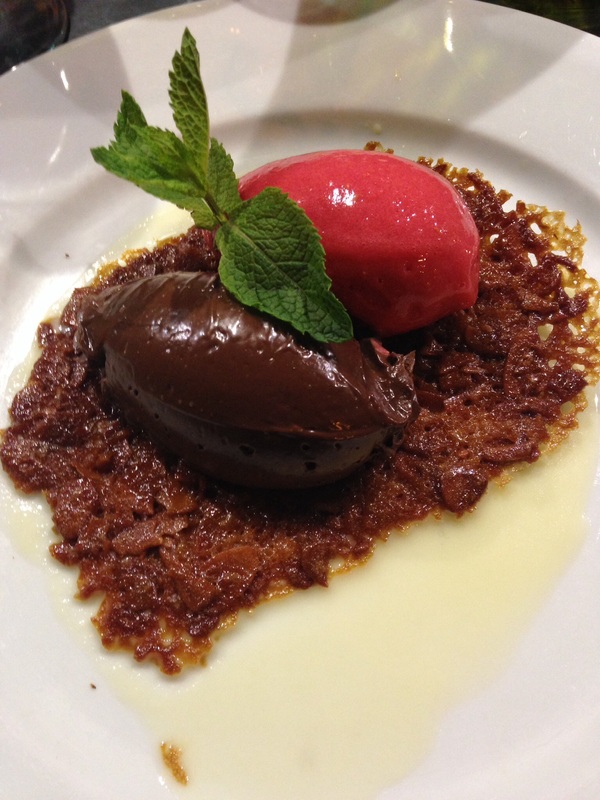 Desert was an incredible raspberry chocolate concoction that melted in my mouth with silky perfection…lovely sweet ending to a delightful night in Paris. 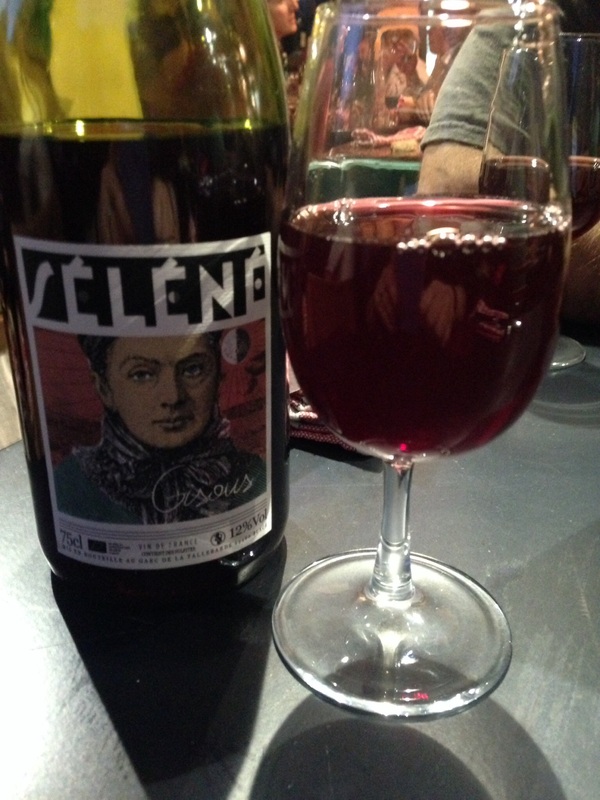 Check out Chez Casimir next time you are in town–BoozyLife approved and recommended! See you on the road….